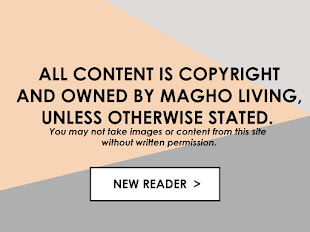 Thank you for your interest in Magho Living. For inquiries, feedback, collaboration or thoughts, please kindly send us an email at magholiving@gmail.com. We endeavor to answer your email promptly, alternatively, you can also follow our social media and give us a mention or drop a direct messages. We are really want to know our readers, so leave us any messages. We’d love to hear from you.